Our pre-owned vehicle inventory includes plenty of used trucks near San Jose, CA. We have a large selection of affordable used trucks for sale. 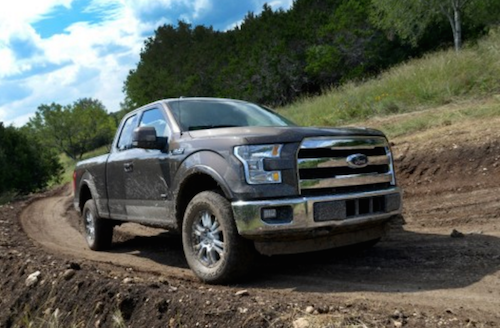 In addition to pre-owned Ford trucks our inventory frequently includes used Toyota, Nissan, GMC and Chevy trucks as well as used Ford F-150 and Ford Super Duty models. Browse our inventory of quality used trucks online. We have many “like new” pre-owned vehicles with low mileage that are just a few years from original production date. If you are on a tight budget, our Used Vehicle Specials page offers a nice collection of low priced used trucks near San Jose, California. We invite you to explore our used truck inventory online then stop by our showroom and take a test drive. Our used truck dealers near San Jose are on standby to answer your questions and help you find the perfect pre-owned vehicle to fit your budget and your lifestyle.